All of the holiday events that we are participating in have us thinking about holiday parties. Holiday parties are the highlight of this season for anyone who loves to host. Tired of organizing holiday cookie exchanges or ugly sweater parties? Do a spin on the classic cookie exchange by hosting a holiday cocktail exchange instead. While you supply the appetizers, ask your friends to bring their favorite festive cocktails to share along with the recipe. Your friends will love the chance to discover delicious new drinks. Plus, nothing beats a cocktail hour with hot buttered rum and eggnog martinis. Remember the excitement of getting a snow day when you were a kid? Most of the best snow days were spent building snowmen, having snowball fights, sledding and, of course, drinking hot chocolate. Recreate the fun for your friends and family by planning a Snow Day Party! Check out the weather forecast and set your party for a weekend that’s expected to have a heavy snowfall. Tell your guests to come prepared for the weather and spend the day (or just a few hours) sledding or having a snowman building contest. If you and your friends are always looking for a reason to don a funny costume or take on a different persona, host a holiday dress up party! Tell your guests to come as their favorite Christmas character and offer prizes for best dressed and most creative. If you have culinary friends, ask them to bring a dish that goes with their costume. You might be delighted by your friends’ interpretation of roast beast and figgy pudding. Who can resist breaking out into song when their favorite Christmas carol comes on? A Happy Holidays Karaoke Party is a great way to create memories that’ll last for years. Whether you decide to invest in a home karaoke set or reserve a private room at a karaoke bar, be sure to have a stockpile of holiday favorites from classics to pop reinterpretations for your guests to singalong to! No holiday has more great movies to pick from than Christmas. Why not take advantage of this by hosting a Christmas Movie Marathon? Buttered popcorn or kettle corn, hot chocolate, and a big screen are all that you need for this party to be a success. You can prepare a watch list beforehand of 3 to 5 of your top Christmas movie picks or ask each of your guests to bring their favorite Christmas movie with them and vote on which ones to watch. There are many options for holiday crafting parties from building gingerbread houses to creating holiday wreaths. If you are trying to think up something really original, consider a Misfit Toys Christmas Crafting Party. We all remember the unique animals on the Island of Misfit Toys in the movie Rudolph. Why not make your own quirky misfit toys to give to children in your life or donate to a local children’s hospital? Encourage your guests to bring interesting crafting supplies like old patterned socks, broken toys, weird thrift store finds, unique buttons and other miscellaneous supplies then see what interesting creations you come up with. 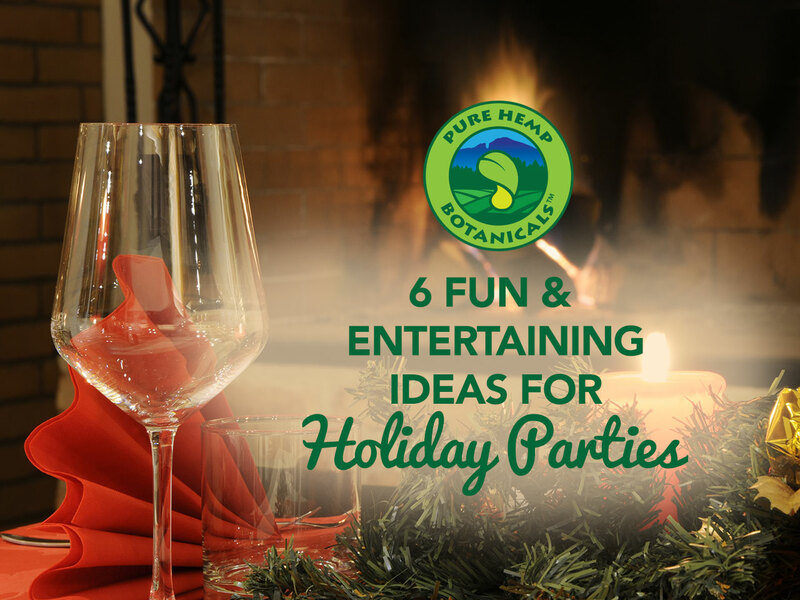 What type of holiday party are you going to plan this season?